At the corner of Crenshaw and Slauson there is a massive hole in the ground. The expression on the street is ‘You can look down until you can’t look no more’. The power of the earth is revealed, as is the history of this anchor neighborhood in the cultural history of LA. Unlike the famous Lafayette Square, also designed by George Crenshaw, this part of LA does not claim the title of the wealthiest area in the city. Crenshaw Blvd is best known as the commercial spine of Black and Latino Los Angeles, as well as a transitional home for displaced middle class Japanese Americans after WW2. While it begins and ends in wealth, the other parts of Crenshaw Blvd are where the action was, with spots like the classic Maverick’s Flat – the Apollo Of The West - where featured acts like Marvin Gaye, The Temptations, Ike and Tina Turner, and Parliament played. This is the place where low riders would cruise, immortalized in songs and videos by west coast rappers. You can draw a parallel with Harlem River Drive here, but Crenshaw is solid Los Angeles. One can argue that THIS is the lifeblood of America – that it carries the pulse of a multi-cultural nation in a more authentic way than the official promenades of Washington DC. But there can be no argument that THIS is where the soul resides. The creativity, the street culture, the real stories of struggle and defiant joy – all are found here in a land of eternal sun and concrete. And now, in 2017, there is a giant hole in Crenshaw Boulevard. Powerful energy makes itself present, as everyone knows the neighborhood will never look the same. A profound sense of history demands to be respected, and now presented to the world for preservation in our collective understanding. Now is the time to dig through the memories, the music, and carry them forward like diamonds from the mine. The Pollyseeds are a collaborative group of A-List producers, musicians, and creators who have found great success in the world, yet understand the source from which their creativity and success flows. After many years of celebrity driven music, The Pollyseeds come together inside the SONGS. The songs that speak of history, of life, of love, of soul. The songs that carry our common interest; songs of Saturday nights looking for love, songs that carry the heat of the street right into Sunday evening. The Pollyseeds pay heed to TSOP, The Funk Brothers, and The Wrecking Crew, as well as early Steely Dan. The Pollyseeds are making the records that those artists never did, because they live in a time where it is possible. Sounds Of Crenshaw Volume 1 is produced by Terrace Martin. 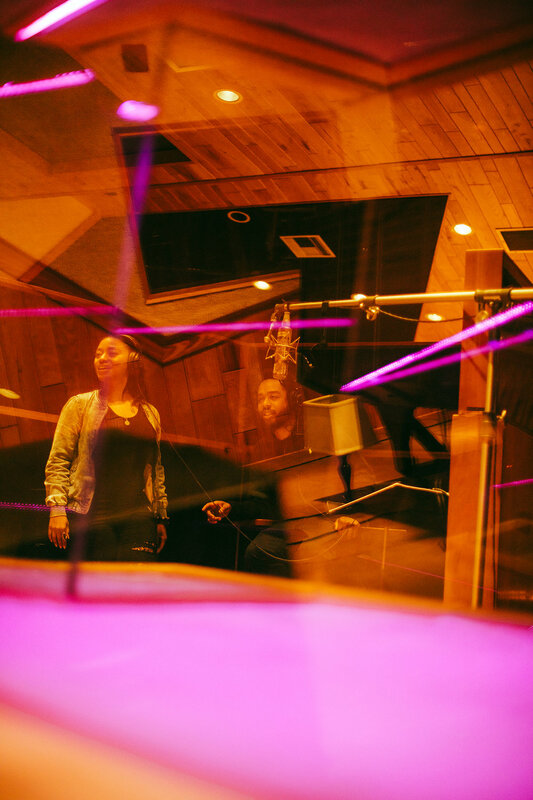 As a producer and musician, Terrace Martin understands the pieces of history that MATTER. And he knows the true value of Crenshaw and Slauson in his own evolution and its importance to the world. On Volume 1, he brings together some of The Pollyseeds and distills the seemingly disparate pieces of that history into an instantly recognizable sound. ‘That West Coast Vibe’ is eminent. A great luthier once said ‘It’s simple, I just take a piece of wood and cut away everything that isn’t a guitar’. The Pollyseeds have done just that. Sounds Of Crenshaw Volume 1 is that record that trims the celebrity and the excess, and makes a very clear and simple statement with the sound. Let us hope that whatever gets built on Crenshaw carries the history forward with as much integrity and beauty as The Pollyseeds. Velvet Portraits is a wide ranging record with a common distinct style. With a core band of Terrace Martin on sax, Curly Martin on drums, Brandon Eugene Owens on bass, and Robert ‘Sput’ Searight on Keys, Velvet Portraits also features appearances from Kamasi Washington, Robert Glasper, Lalah Hathaway, Thundercat, Rose Gold, Ti any Gouche, Marlon Williams and more. 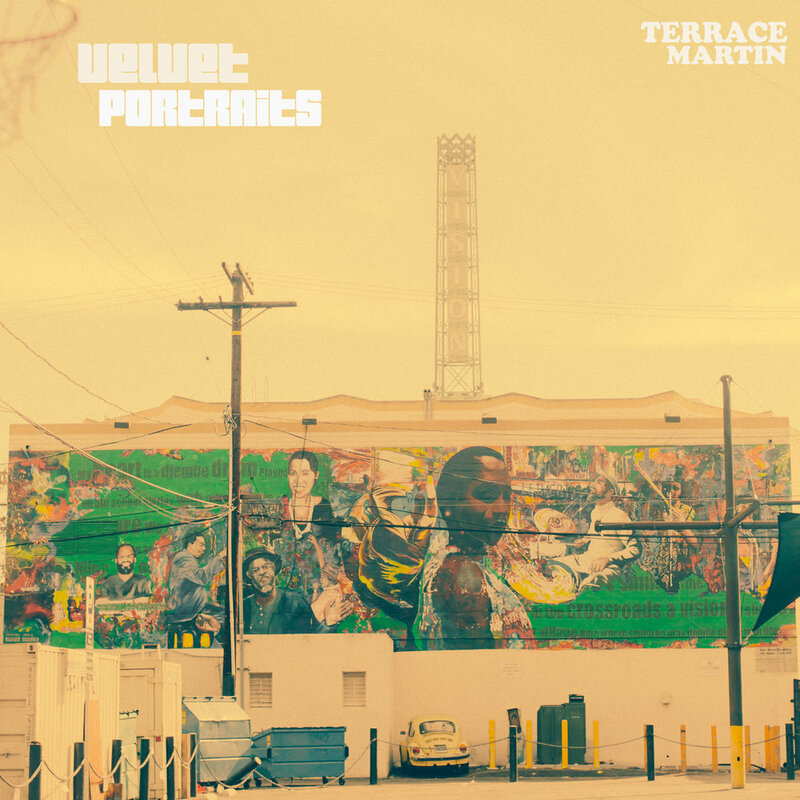 Recorded in Omaha Nebraska and Los Angeles, Velvet Portraits portrays the evolution of Martin as a player, producer, and a musician with a deep sense of history. He chose to release the album on his new label - Sounds Of Crenshaw, and join the growing family of label imprints in the Ropeadope collaborative network. "...the Sound Of Crenshaw is in everything I touch, from Kendrick to Herbie. So with SOC I’m gonna bring it all back and give y’all the whole package: 100% the Sound of Crenshaw"
Terrace Martin. Musician, producer, larger than life character with an eye and ear on changing the world. His father, Curly Martin, is a notable jazz drummer and his mother a gospel singer. Terrace Martin’s path speaks of a drive that is uniquely his, and uniquely Los Angeles. As a child prodigy, with guidance from his parents and his godfather (Stemz Hunter), Terrace found some notable milestones on his path. First the self bought and self taught saxophone, next the attention of Jay Leno and a solid scholarship to attend Cal Arts. Deciding school was not the thing, Terrace went straight to professional musician, finding favor with Billy Higgins and playing with Billy’s World Stage All Stars in Leimert Park. Soon afterwards, tours with Puff Daddy and Kirk Franklin’s God’s Property followed, as renowned musicians from different genres embraced his versatility and dedication. Always on the move, with a higher vision driving him on, Terrace in short time he landed beats with Snoop Dogg, producing on several of Snoop’s records and moving on to produce, write, and/or perform on projects from Quincy Jones, Wiz Khalifa, Pete Rock, DJ Quik, Kurupt, and Kendrick Lamar. Stepping out from behind the board, Terrace began releasing his own projects, from THE DEMO to 3CHORDFOLD. Critical acclaim followed, along with a steadily growing underground following - key tastemakers of the social media age who connected the dots. The music business is often fickle and inattentive - everyone focuses on the next big thing and clings to it, missing the steady and formative scenes that caused the eruption in the first place. As LA was busy watching Hip-Hop, the jazz scene just kept on building. A student of jazz history with both feet on the street, Terrace Martin never forgot. Terrace Martin can disassemble the history of modern music, break it into a thousand pieces, and reassemble it into something both reverent and absolutely fresh at the same time. It is this gift that enabled him to infuse popular records with his style, and with the success of Kendrick Lamar’s To PImp A Butterfly the scope of his mark was felt. Not as a single producer with an ego in the room, but as a unique but integral part of a new kind of team. History will call 2015 a defining moment in both the history of Jazz AND the history of Hip-Hop, and all of the cats in the mix will be forever respected. Ever restless, Terrace came right out of the Kendrick sessions blazing - producing for YG and Herbie Hancock simultaneously while putting the finishing touches on his next solo release - Velvet Portraits. Choosing a groundbreaking path, he chose to release the album on his new label - Sounds Of Crenshaw, and join the growing family of label imprints in the Ropeadope collaborative network.